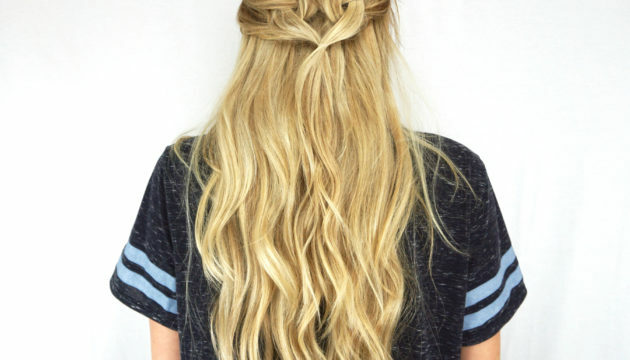 This beautiful Dutch Braid Messy Bun up-do is a very dimensional and an eye catching style. 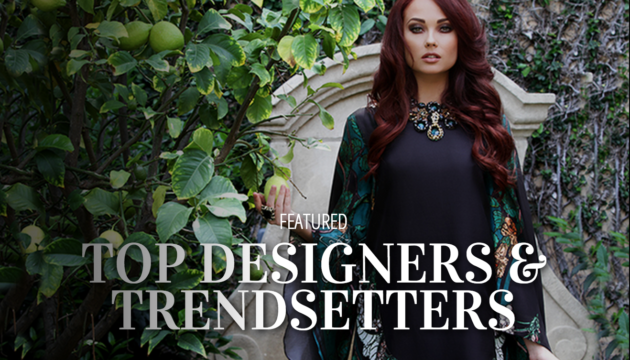 It’s perfect for the evenings you want your hair out of your face, yet still look elegant and stylish. 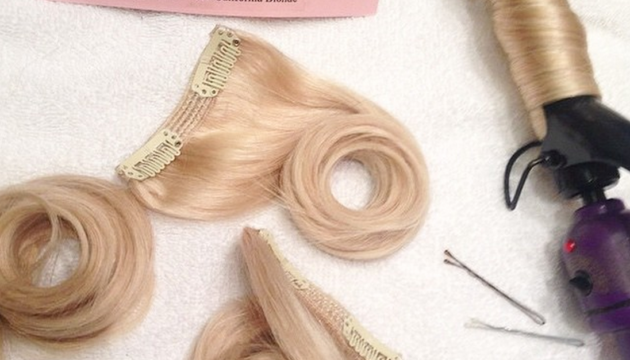 Hair Extension Transformation // Cashmere Hair isn’t just a beauty product, it becomes a part of you when you wear it. We are honored when a real Cashmere Hair customer shares their story with us for why or how Cashmere Hair extensions have impacted their life. 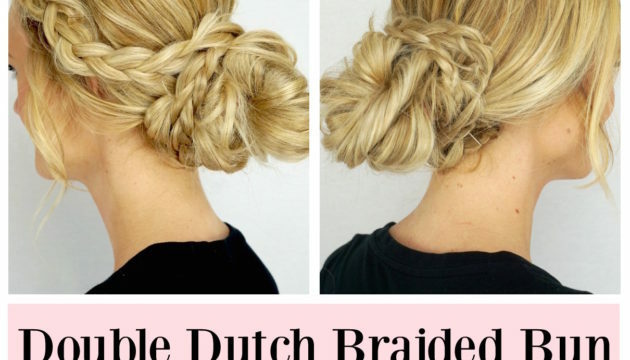 This double dutch braided bun is truly a great hairstyle for any occasion! Pair it with a flowy dress and strappy sandals for an effortless, feminine look… or with your best pair of heels for date night/girls night out! 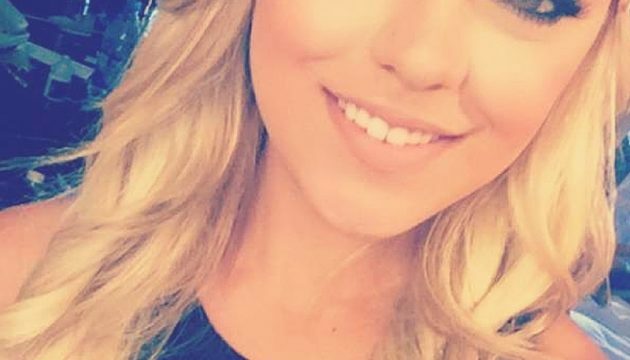 Hello beautiful! Today I’m sharing with you this simple, 4 step tutorial to create a gorgeous heart twist in your hair! 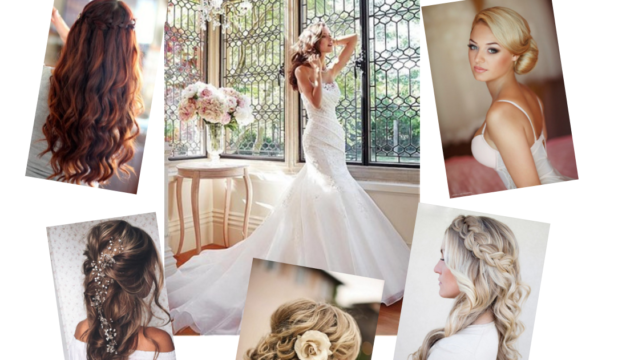 Having trouble deciding what hairstyle will be perfect for your wedding day? 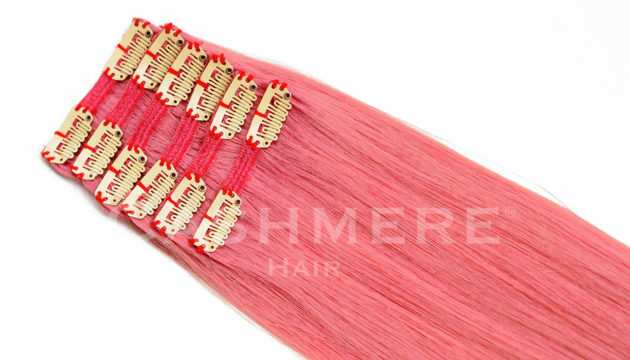 Whatever style you decide on, you can feel confident knowing that you have the ultimate hair accessory when adding Cashmere Hair Clip In Extensions. 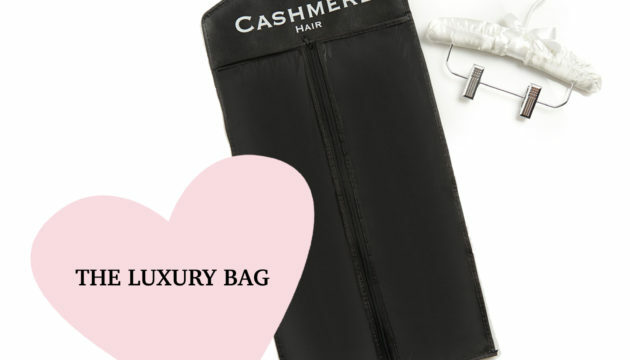 How Should I Store Cashmere Hair If I’m Not Wearing Them? We take pride in caring for our hair, that’s why we designed the perfect accessory that makes traveling with, storing & protecting your clip-in extensions easy. Hanging your extensions from the satin padded hanger prevents them from tangling and it preserves the style, so you don’t have to restyle them as often. One of our lovely customers, Briana sent us these gorgeous photos sporting her lovely Cashmere Hair Clip-Ins in the Sunset Blonde Shade. Go Briana! Roxbury Red Product: Roxbury Red Clip In Hair Extensions Posted By: Brittany Hi! I just wanted to tell you how happy I am with my extensions! 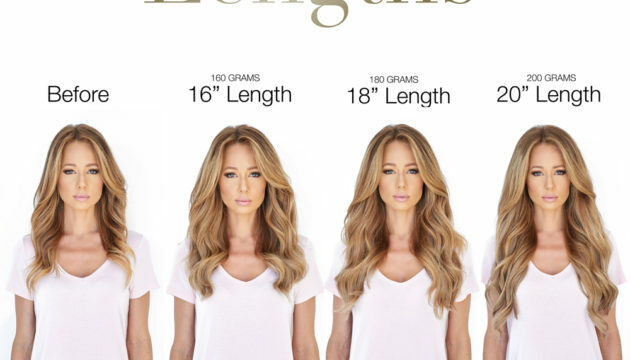 Shade Pictured: Rodeo Drive Blonde [button color=”black” size=”medium” link=”http://www.Cashmerehairextensions. 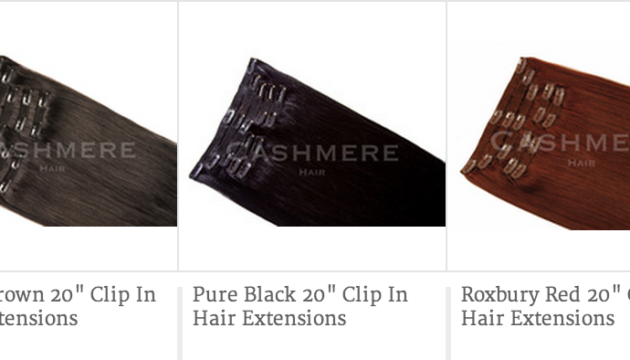 FREE CASHMERE HAIR® CLIPS WITH 16” OR 20” EXTENSION PURCHASE! ADD THE CLIPS TO YOUR SHOPPING CART AND IN ORDER TO GET THEM FOR FREE, USE CODE: FREECLIPS Introducing the all new Cashmere Hair® Clips! SMOOTH & SHINE CARE SET Now $29.95 Now Available together for extra savings! We can’t help but try to make our customers happy! We got such a great response, and a huge request to bring back our Limited Edition PINK PEEK-A-BOO Clip-In Hair Extensions. How Many Shades Does Cashmere Hair Have? Swatch Color Rings and individual Swatches are available for purchase at www.cashmerehairextensions. The great thing about clip in hair extensions, is that you can style them by themselves, before clipping them into your own hair. This trick will not only spare your natural hair from unnecessary heat damage, but also allows you to do this super easy, “cool” curling trick. 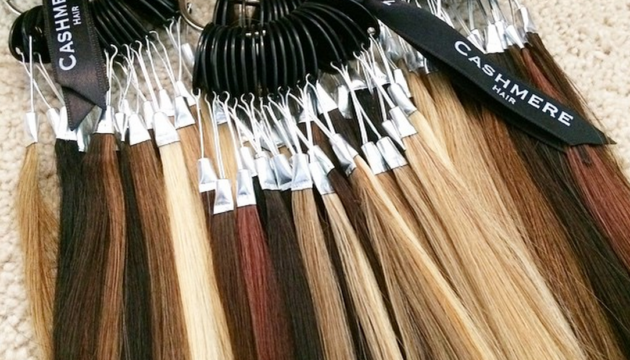 Did you know Cashmere Hair offers different 19 multi-tonal shades? That’s 5-6 more shades than the competition, which means better color matching for you, more options, and a more natural look. Roxbury Red Shade of Cashmere Hair CASHMERE HAIR FEATURED IN VIVA GLAM MAGAZINE We love seeing gorgeous ladies looking even more gorgeous with a little help from our Cashmere Hair Clip In Hair Extensions. This shot is from the NEW Magazine VIVA GLAM MAGAZINE. 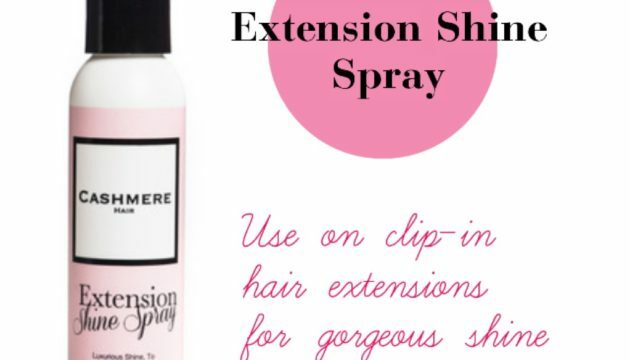 Have you tried our Extension Shine Spray yet? 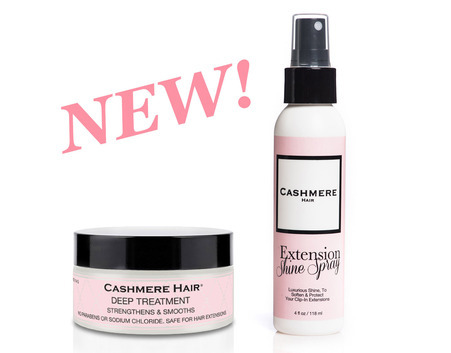 Don’t miss out on this must-have hair product by Cashmere Hair! Cashmere Hair Brush Cashmere Hair Brush Do boar bristle brushes really make a difference? Not only do we think they are an excellent tool for detangling and styling your hair while wearing our gorgeous Cashmere Hair Clip-In Extensions, but there are many other benefits to this Hair-Secret-Weapon!